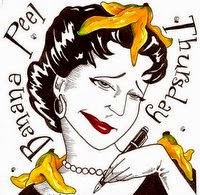 Perched in a Tree: I Ponder... Wednesdays: What does Sarah Perry ponder? I Ponder... Wednesdays: What does Sarah Perry ponder? Maybe you noticed, maybe you didn't. Last week I was absent from the blogosphere and so was the I Ponder post. Why?? Well, ask my thumb. It decided to completely dislocate itself and make things complicated for me! HA! All is good now, and I will save last week's post for another time. Today, I am so thrilled to say that Sarah Perry has a question for you to Ponder. 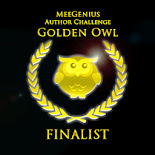 She is the winner of last year's MeeGenius Great Author challenge. Her book, PAJAMA GIRL, is totally cute. 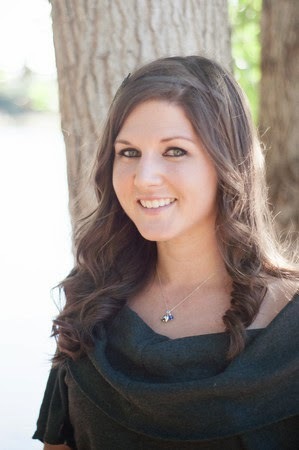 She is also the queen blogger over at The Restless Writer (she even interviewed yours truly!). She's awesome... Take it away, Sarah! Everyone hears about the solitude of writing. The tortured soul, up late into the night, all alone at their desk, tearing their hair out as they stare at the blank screen. Ah, writers! Those poor lonely creatures slaving away while the rest of the world gathers to play. But, does it have to be that way? After all, didn't the YA Golden Boy, Jay Asher, and the charming Carolyn Mackler just write a successful novel together? Another YA novel I loved, but was completely under the radar, Rob&Sara.com was beautifully written by P.J. Peterson and Ivy Ruckman. Lin Oliver and Henry Winkler write together. So the creative process doesn't have to happen all alone. Have you every considered collaborating on a writing project with someone? Do you think it would be easier or harder than writing alone? I know, as I continue to grapple with just the write ending for my YA novel, I wish someone else could just come along and work on that instead. Voila! Collaboration. If only in my dreams. Thank you, Sarah! What a wonderful question... Let's share, friends! Happy writing!!! I have not yet pondered such a collaboration, so thanks for posing it. I think it would be harder, at least to start, but don't all new ventures offer up hesitation! Great question Sarah. Although, I haven't thought about working on a story with another writer I do think it sounds like a fun idea. I really liked Sandra Hershenson collaboration to make the book The Friendship Alphabet (published by uTales) where every letter of the alphabet had a different author. Best of luck with your YA Sarah! I liked Sandra's idea, too. Though now I reeeeally wish I would have participated! Most days I feel like I have a writing partner with my kiddo. Not a cooperative partner, but with me every step of the way. A friend and I discussed doing a novel together. We just planned out the story, but didn't write it yet (who knows!). Technology makes it easier for folks to collaborate in different cities now. Good luck with your YA and finding your ending. Get that novel going, Stacy!! :) Thanks for stopping by! Funny, since doing the A to Z Poetry Challenge that idea fell on my mind (wait, how do ideas fall on one's mind__sounds like a good pb title, though). I wonder what the challenges would be? How do you settle differing on content? Okay, that sounds like a blog post interview waiting to happen. One of my favourite books "Spiderwick Chronicles" was co-written. I can't tell who wrote what. I think that would be my biggest concern with collaboration is how to make the story sound like it's told by one person. On the other hand if your new writer don't you want to establish your own voice? I think it would be great in situation like Jen mentioned where each writer gets their own portion of the project. I've been thinking about collaborating on a book of poetry. I think for poetry it would be great because there could be two voices and there would be two authors promoting the book. I think it would be really hard to collaborate on certain writing projects like a novel. I don't think I would ever do it unless I found someone who I really clicked with. But I would love to find someone to be my partner in writing and maintaing a blog, but again this comes back to being able to have my own voice. I would like to hear from writers who have done this. I agree with Pam this does sound like an interview waiting to happen. I think I would have a VERY hard time with it, Rena. And that makes me wonder if that makes me selfish, too independant, or something worse! I think it'd be very hard, but somehow writers make it happen. I'd love to know the mindset as well! Great question! I just finished a chapter book with one of my critique partners, and I would say in some ways I found it a lot easier than going it alone. If one of us was stuck we talked it through and quickly got un-stuck. I would also say our first draft is much more polished than a first draft I might turn out on my own, simply because it has been considered (and reconsidered) by two different writer-brains all along the way. The trade off is, you have to be willing to let go of that absolute control you're used to having. That can be hard, but I've found it also opens up new possibilites. Great question Bethany! I think it would very cool to work on a project with another writer. I have a few writing friends that would awesome to work with. I think it would be interesting to see how working together with someone would unlock creativity! Hmmm. I've thought about it, but I'd have to have clearly defined expectations. I think about Julia Child and her cookbook with two collaborators. Everyone contributed a different amount of work to the project. It can create more drama in some ways. Of course, I love my critique group, but that's not the same as collaborating with an individual from start to finish. Good question.